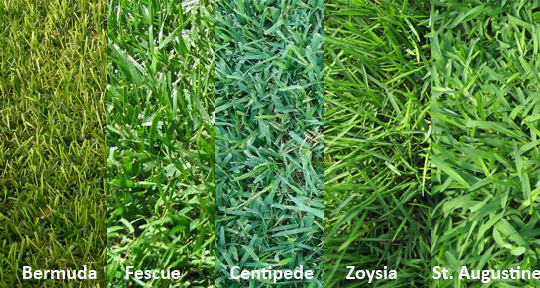 Selecting the proper turf grass for your lawn can be very difficult. There are a few considerations you should make to ensure make the right selections. Shade Tolerance – How much sun does your lawn get? Sunlight is the key to photosynthesis which the process plants use to convert sunlight to energy in order to grow. Each type of turf grass requires different amounts of sunlight in order to perform photosynthesis. Grasses that require high amounts of sunlight is said to have poor shade tolerance. For example a lawn that get 8+ hours of direct sunlight would require a turf grass with low shade tolerance such as Bermuda. In yards with more shade than sun, a turf with good to moderate shade tolerance would be the better choice. Drought Tolerance – Your grass gets thirsty too. Drought tolerance is simply how much/how often to water each type of turf grass to insure its survival. Since summers can be dry in the Carolinas and watering the lawn can get expensive, many people prefer to stick with a drought tolerant turf grass. Cold Tolerance – Because you can’t give your lawn a jacket… Yes, grass gets cold too so if you don’t pick a turf suitable to your climate it’s not going to thrive. If you are trying to grow a grass with poor cold tolerance in an extremely cold area you will not achieve success. The winters in North Carolina are hard to predict – typically a turf with poor cold tolerance would go dormant during the winter in the Piedmont region of the state and it definitely wouldn’t be recommended in the mountains, however, it’s a reasonable option near the southern coastal area. Soil Make Up – Important, but not a deal breaker. The Last factor in selecting a turf grass is the soil make up- or more specifically the pH. Most turf grasses like a pH range of 6 to7. In this range, the nutrients in the soil are absorbed well. While soil make up is an important consideration, it is also one that can be changed with lawn treatments so this one isn’t a deal breaker.